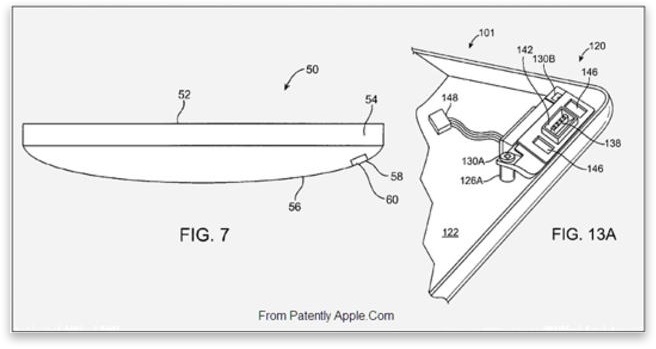 iPhone and iPad To Get Magsafe Charging? by Mark — in Apple.Leave a Comment on iPhone and iPad To Get Magsafe Charging? Magsafe has saved my laptop many a time and so I was overjoyed to come across the news that Apple has successfully applied for a patent to bring its Mac-saving MagSave power cable technology to iOS devices. Magsafe was introducted way back in 2006 and I’m surprised that other vendors haven’t tried to come up with their own solution thus far. Instead of dragging the device to the ground when you trip over the cable, the MagSafe connector just pops right out, leaving you with just a slight tinge of embarrassment rather than a large repair bill. Now Apple has trademarked the tech with the US Patent Office in order to transfer MagSafe and bring piece of mind to iPad and iPhone owners. So there you have it, the days of self-inflicted, gadget-smashing mis-steps could be over. It probably won’t be in time for the next generation iPhone, but soon you’ll be able to trip and fall as merrily as you like without taking your precious smartphone with you. Anyone else think this might be pointing to a rounded iPhone 5?